The Dog is happy to see Congress moving on after the near complete fixation on the Healthcare Bill…. The vote on unemployment benefits which saw both parties join is a good indication that the Congress is doing its work and has stopped politicking to the exclusion of the countries citizens…..
House leaders from both parties appear content to move on from the name-calling and uncivil behavior of the healthcare vote. When House members return to Washington on Tuesday, they won’t convene any hearings on the subject, nor will they find themselves subject to new rules or guidelines governing their own behavior. Republican leadership aides also said they don’t expect to have to deal with the issue of decorum or take any new steps to reduce threats made to members of Congress. Just a few weeks ago, the conduct of individual House member, threats to lawmakers and verbal and physical altercations between members and protesters appeared to be taking on crisis proportions. The final week of the House debate on the healthcare bill brought with it a rash of member-on-member insinuations and accusations, and the bill’s passage provided little immediate relief. The week after the vote, members received new threats — many of which have resulted in police investigations and arrests — and House leaders traded accusations about which side was responsible for an increase in dangerous behavior. Before the Bill really kicks into gear….a good many Republicans are seeking to harness the negative feels they have cultivated against the bill into a sledgehammer they can use for the fall elections…..
Those same politicians in the GOP now find themselves infighting on how far to after the bill…..
Should go for a full repeal of the bill? Should they go for taking out parts of the bill? Make no mistake people this isn’t about the bill…..there are actually earmarks for most Congressmen in the bill…..
Democrats, including Democratic Congressional Campaign Committee Chairman Chris Van Hollen (Md. ), have noted that the new law includes politically popular provisions that go into effect this year, including a $250 rebate for some Medicare beneficiaries. Van Hollen told The Hill in an interview that the DCCC is keeping close track of which Republicans call for a repeal of the new health law. Of the 15 senators co-sponsoring DeMint’s repeal bill, four are running for reelection this year. They include Sen. Bob Bennett (R-Utah), who is facing a tough primary race, and Sen. David Vitter (R-La.). 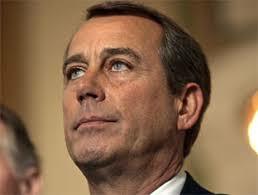 Obama and Pelosi get a bounce in the polls….Boehner does not……. The latest DailyKos/Research 2000 weekly tracking poll shows President Obama receiving a slight bounce in his favorability rating — up five points — since signing a health care reform bill earlier this week. For comparison, House Speaker Nancy Pelosi is up three points while House Minority Leader John Boehner is down five points. Congressional Democrats are up three points while Congressional Republicans are down seven points. After the Senate approved a budget reconciliation bill — by a 56 to 43 tally — containing fixes to the recently passed health care bill, the bill heads back to the House. Soon……Lets get this done and move on……. ….Georgia Governor (R) threatens to impeach his Democratic Atty Gen if he doesn’t join the suit against the Healthcare Bill…..
People are going Batshit crazy in this country……. This from Andre Walker @ Mydd.Com……. Gov. Sonny Perdue (R – Georgia) and the state’s GOP congressional delegation called on Attorney General Baker to join thirteen other state attorneys general across the nation in challenging the new health care law’s constitutionality. “I am today renewing my December request to the Attorney General that he join other states in reviewing the constitutionality of this travesty. My office has already begun to review any and all legal options to challenge this legislation,” Perdue said in a news release Monday. Price chairs the Republican Study Committee, a group of over 115 congressional Republicans organized for the purpose of advancing a conservative social and economic agenda in the U.S. House of Representatives. Based upon my understanding of the current Act, I am unaware of any constitutional infirmities and do not think it would be prudent, legally or fiscally, to pursue such litigation. I must therefore respectfully decline your request. ….Georgia Governor (R) threatens to impeach his Democratic Atty Gen if he doesn't join the suit against the Healthcare Bill…..